As a professional waxer with over 10 years of experience, I am often asked, what the best numbing cream for waxing is? There are a variety of numbing creams, sprays, and gels out there, so how did I compare all of them? Price: There was a wide variety of prices from $10-$200. Effectiveness: I only chose to look at products with 4% lidocaine or higher. Anything less than that is not really gonna do anything. Ratings: This is a hard one since the person has to use it properly in order to be effective. Also everyone pain tolerance is different. And people with coarser, thicker or more hair or first time waxers will experience more pain than others. So take it all with a grain of salt. I’m not a scientist I am simply laying out the Numbing creams, sprays, and gels with 4% or higher of lidocaine in them. It’s up to you to choose the best for you. I had my reservations at first. It was a bit more expensive than some of the others I have tried but this one is by far my favourite. I was also really impressed that the company reached out to me and sent me a sample. This one has a long duration of effect and lasts about 1 hour. 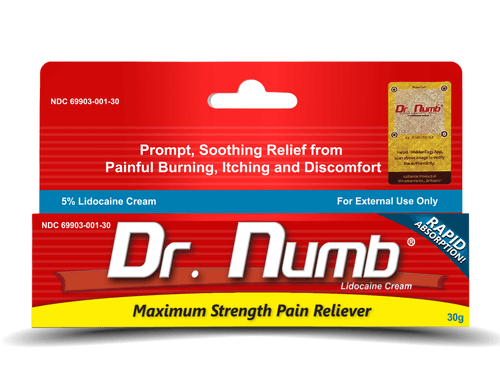 The numbing effect will reach the optimal level within 20~25 minutes. Extensive product Research + Development ensures that the cream works quickly and lasts longer (30-45 minute absorption and lasts for over 3 hours). Backed by a 3 year shelf life. My Opinion: This is another high-end option. This anesthetic is used to numb the skin during the procedures: It can be used for tattoos, microblading and permanent makeup for eyebrow, eyeliner and lips. My Opinion: Not good for waxing. The skin needs to be pieced before using it. 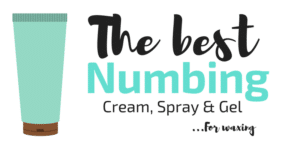 Id love to hear if you have found any other numbing products or if you have any experiences with any of these products.